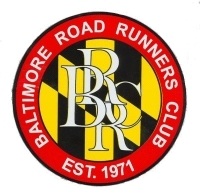 Charm City Run Timonium offers specialty walking and running shoes, sporting apparel and accessories as well as 5K, 10K, Half Marathon, Marathon and Ultra Marathon training programs. Brands include Under Armour, Nike, Mizuno, Brooks, Saucony and New Balance. The Timonium Store is our original Charm City Run shop and opened in June of 2002. It is located next to the Nautilus Diner on York Road two-tenths of a mile south of Timonium Rd. It is hard to believe we have been there 16 years. When you visit, it is our expectation that you will be treated with respect and patience. You will be shown love regardless of whether you are struggling to walk or are training for your 20th marathon. Hopefully you'll enjoy the music and have a great conversation with a sales associate. We look forward to talking to you about your feet, biomechanics and current goals in addition anything else you want to talk about. Our training groups in Timonium are a huge part of what we do. Join a program and you can expect to run some miles, make new friends and learn a lot from the amazing coaching team. We also host monthly pub runs. Scroll down to learn more about our training groups and fun runs. If you can run a 5K, you can do it! Fast or slow, young or old. We have individuals living with disabilities on a waiting list eager to train and race with ASA and they need you to join us as a WingMan so that they can Finish! Come and try a mile that will start from Charm City Run Timonium. Join us for a night that's all about Garmin! Our Garmin rep will be in the Timonium store to share new updates with us and discuss the benefits of incorporating GPS and heart rate monitoring into your training. The short presentation will be followed by plenty of time for Q&A so come with your questions! Click a group below to learn more and register for a training program! All Charm City Run shops will be closed on Sunday, April 21st.